TOKYO-Mitsui O.S.K. Lines, Ltd. (MOL)(*1) and Karpower International B.V. (Karpowership) (*2) today announced that the parties have agreed to collaborate in the LNG-to-Powership business (“Business”) to become the world’s most reliable and preferable LNG to Powership solution provider, under the brand name of “ KARMOL”. The parties aim to co-invest in the related assets and joint market its solution in selected markets around the world. (3) Business synergy is assumed by combining both companies track records and excellence in their operations. MOL’s track record and expertise of LNG Carrier and FSRU business and Karpowership’s track record and expertise of Powership® business(*3). Hereafter, MOL and Karpowership will jointly promote the LNG-to-Powership solution to provide this cost competitive and robust solution in selected markets. The parties will aim to materialize several projects in the coming years. Prior to this press release, parties have started to convert an existing LNG carrier into a floating storage and regasification unit (FSRU) to provide regasified LNG to a Powership. (*1) Mitsui O.S.K. Lines, Ltd. is a Japanese transport company headquartered in Tokyo, Japan. It is one of the largest shipping companies in the world, and the largest LNG Carrier Operator. (*2) Karadeniz Holding, a parent company of Karpower International B.V (Karpowership) was founded in 1948 and entered the trading business of heavy industrial machinery and products. Karadeniz leads the energy sector not only in Turkey but in the world, as well as having operations in the finance, real estate, and shipbuilding industries. (*3) In 2007, Karpowership began the production of the first floating power plant "Powership“ fleet with the vision of illuminating the world and becoming the pioneers of the global energy market. 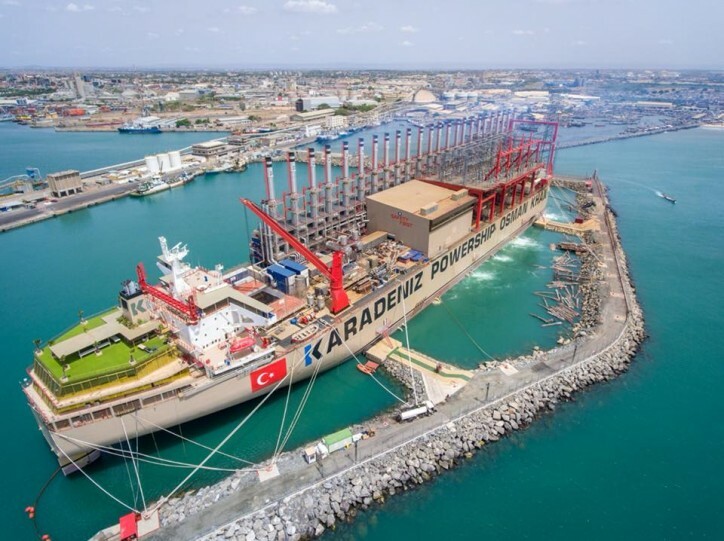 Karadeniz Holding, which manages the Powership® fleet under its international brand Karpowership, is the only owner, operator and builder of the first Powership™ (floating power plant) fleet in the world and plays an active role in medium to long-term investments; with more than 2500 employees globally. Currently, Karpowership owns and operates 20 Powerships in countries such as Indonesia, Ghana, Mozambique, Gambia, Sierra Leone, and Lebanon.